Product prices and availability are accurate as of 2019-04-24 19:15:16 UTC and are subject to change. Any price and availability information displayed on http://www.amazon.com/ at the time of purchase will apply to the purchase of this product. GENUINE LEATHER: This LEVI'S genuine leather belt is a wardrobe essential for any man. The soft touch leather and soft edges make it an unique elevated belt. Dress up your favorite pair of jeans or chinos with this LEVI'S 100% leather belt and add some authenticity to your casual look. STYLE: Make a bold statement with this great LEVI'S casual harness buckle belt. 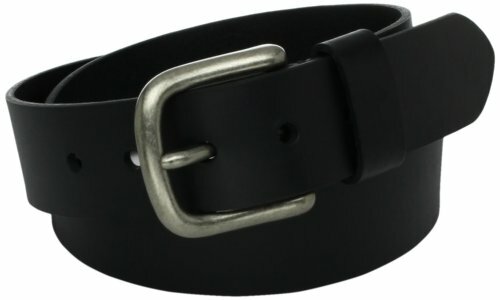 This genuine leather belt adds a great kick to any casual attire and is best worn with jeans or khakis and casual shoes. Enjoy the LEVI'S handcrafted quality leather og this casual belt. SIZE & COLOR: Big & Tall and Regular sizes available depending onstyles. Fits size from size 30" to 56". For best fit, order a size 2" larger than your waist size. If your waist size is 34", order belt size 36". Alpha size info: Small (30"- 32"), Medium (34"- 36"), Large (38"- 40"), Extra Large (42"- 44").